Probably my number one, go to, flavor booster. I put fresh garlic in literally everything. Well….. except maybe pancakes. But you get the idea. For three years I have wanted to take a stab at growing my own garlic. 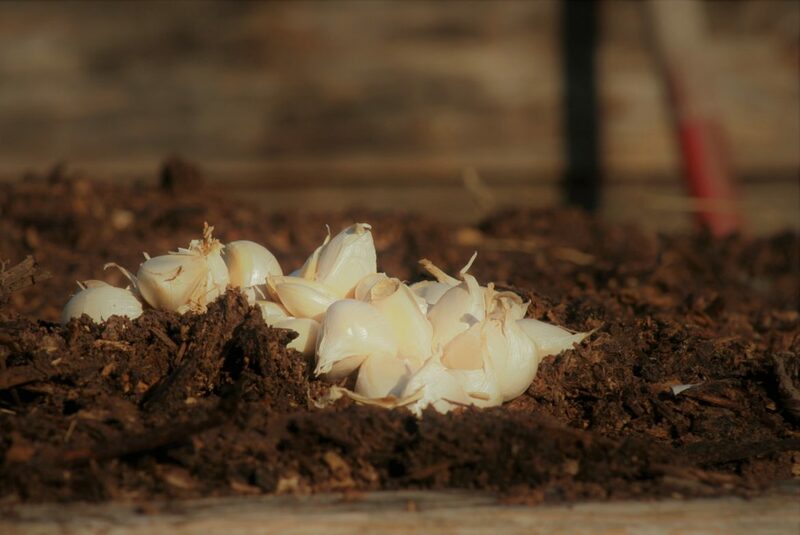 But for some reason it always seemed like a daunting task….I mean you put a clove in the ground and somehow it turns into an ENTIRE head of garlic!!?? How in the heck??? I can’t wrap my brain around it. But why have I not at least attempted it before? Well, for starters, the planting season throws me WAY off. You plant garlic in the fall. Jessica has never sown anything in the fall. Not one seed. By fall I’m so tired of weeds I actually beg winter to come early and kill every last, stinking thing in my garden bed. …. Truth…. So why is this year different? The answer is Chad. He prepped the bed, mulched the bed, made me watch YouTube videos about garlic and then planted 80% of it. I was the overseer and did the last 20% of the planting, so that pretty much was an even distribution of the work load right?! Good, I thought so too. To be honest, I think he got tired of hearing me say “I want to try and grow my own garlic” like a broken record. Thanks Babe for hearing my broken record and fixing it. Here’s hoping I get to learn how to braid garlic in the spring! Please please please take pictures! Can’t wait to see if it really works that way ! !